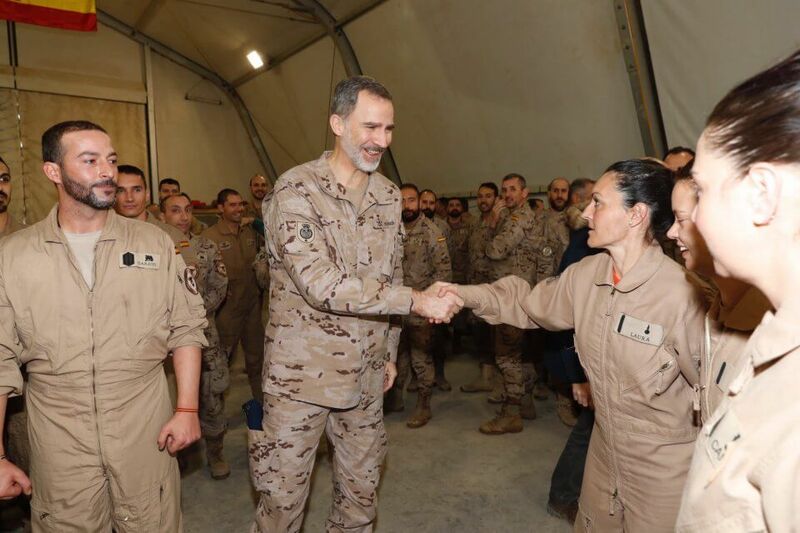 Spain’s King Felipe VI has arrived in Iraq for the first visit there by a Spanish monarch in four decades. Spain, which took part in the US-led 2003 invasion of Iraq that overthrew dictator Saddam Hussein, went on to support Iraqi troops as they battled to roll back IS, which seized a third of the country including second city Mosul in 2014. Hundreds of Spanish military instructors remain in the country. King Felipe is one of a series of leaders to visit Baghdad since the start of the year, including US President Donald Trump, who drew criticism for failing to meet a single Iraqi official. Baghdad has also hosted the chief diplomats of its two main allies, Washington and Tehran – themselves bitter enemies. Iraq’s precarious position has been complicated by Trump’s shock decision last month to pull troops from neighbouring Syria. That has prompted pro-Iran factions to intensify their calls for an accelerated withdrawal of US troops from Iraq.